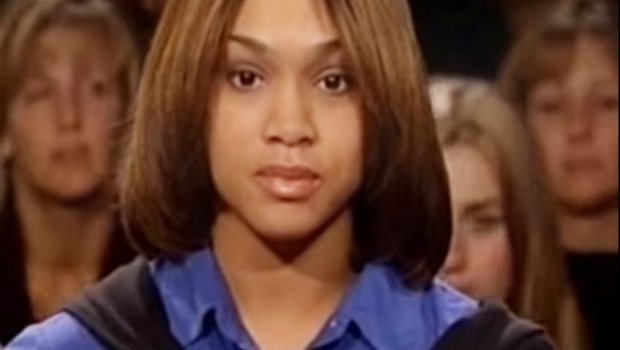 Baltimore prosecutor​ in Freddie Gray case appeared on "Judge Judy"
BALTIMORE -- Years before she became the state's attorney in Baltimore, Marilyn Mosby made an early appearance on "Judge Judy," CBS Baltimore station WJZ reported. The episode was taped in 2000. Now 35, Mosby was a 20-year-old Tuskegee University student at the time and was known by her maiden name, Marilyn James. Mosby brought a case to Judge Judith Sheindlin's television courtroom after a neighbor knocked down her door and trashed her apartment while she was away on summer break. Sheindlin ultimately ruled in Mosby's favor, awarding her $1,731.90 to pay for the damage. "I feel like there's finally some justice served," Mosby said on the episode. "I tried to speak to the DA. I spoke to police officers and finally Judge Judy, she finally gave me justice." A spokeswoman for the state's attorney's office confirmed to WJZ media partner The Baltimore Sun that Mosby was the plaintiff. Click here to watch a YouTube copy of the episode. Mosby's office has charged six Baltimore police officers in the death of Freddie Gray, who was arrested April 12 and died a week later. The officers face charges ranging from assault to second-degree "depraved-heart" murder. They are scheduled to be arraigned July 2. Defense lawyers for the officers want Mosby to be removed from the case and have requested a change of venue.